In 2008, Russia fought a five-day war with Georgia, an independent nation in the southern Caucasus, which gained its independence following the breakup of the Soviet Union. While the details of the incident remain controversial, it is generally agreed that Georgia was the aggressor. One critical consequence of the conflict was that two Georgian separatist regions, South Ossetia and Abkhazia, were recognized relatively quickly as independent states by four countries: Russia, the Pacific island of Nauru and the Latin American countries of Venezuela and Nicaragua. 2. Due to forces of globalization, Latin American countries are now extending ties to areas of previously little interest. Brazil, Argentina and Uruguay decided to recognize Palestine as an independent state based on its 1967 borders, much to the distress of U.S. and Israeli policy makers. 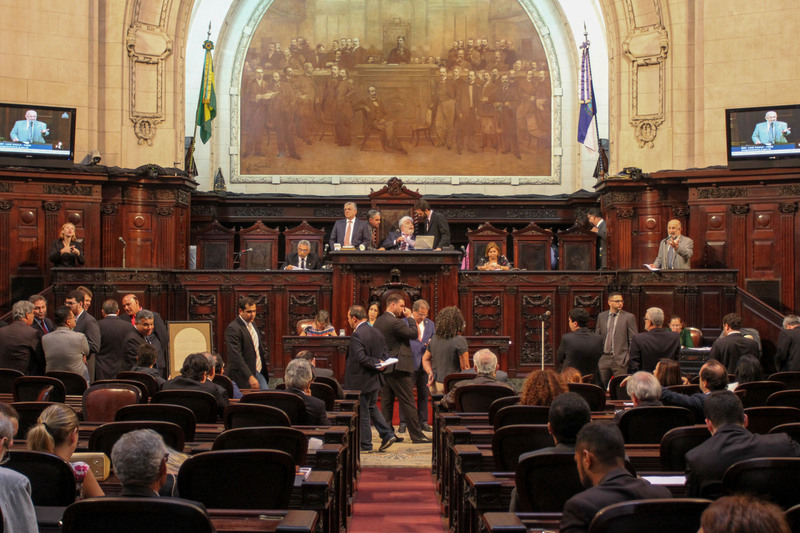 Paraguay is now expected to follow in the wake of its fellow MERCOSUR members. Reasons for this decision are largely economic in nature. Nevertheless, the decision to recognize Palestine is somewhat surprising in Argentina’s case, given its foreign minister, Hector Timerman’s, Jewish background. That two of the four countries recognizing the breakaway regions are Latin American may reflect a growing trend in the region’s diplomacy. Recognition seems to be in the air: Argentina, Brazil, and Uruguay have likewise recognized Palestine. Delegations from South Ossetia and Abkhazia have recently visited several Latin America countries in order to attract more attention, particularly focusing on Russia-friendly states like Cuba, Ecuador, and Bolivia. It would not be inconceivable if, in the coming months, other Latin American states recognize the two separatist entities. It could be argued that recognition of the two tiny territories by Venezuela and Nicaragua was due less to any particular sympathy for their cause (or even some fundamental understanding of the conflict’s roots), than to Caracas and Managua wanting to court Moscow as a possible source of weapons sales and client for their commodity exports. In the past several years, Venezuela has purchased several billions of dollars worth of Russian armaments, with President Hugo Chávez becoming a frequent flier to Moscow. In 2008, a visit to Caracas by Russian President Dmitry Medvedev was arranged to coincide with the arrival of Russian naval units to carry out naval exercises with their Venezuelan counterparts. This marked the first time since the advent of the Cold War that the Russian navy had entered Latin American waters. As for Nicaragua, President Daniel Ortega has been an ally of Moscow dating back to the 1970s when the Cold War was in its ascendency. While its current policies have not included a particularly effusive rapprochement with Moscow, Nicaragua, Venezuela, and Bolivia are among the three hemispheric countries that today are committed to being in Russia’s good graces in order to receive trade benefits, market access, and privileged financial and military sales opportunities. Will an upcoming change in the Peruvian Presidency signal important shifts in Lima’s recognition policies? 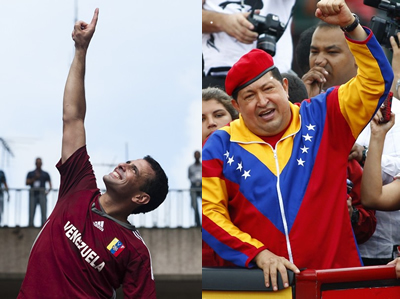 Peruvian Presidential candidate Ollanta Humala is known to be close to Venezuela’s Hugo Chávez. During Peru’s 2006 presidential race, the Venezuelan leader made no effort to conceal his support for the retired Peruvian army officer and left-leaning political figure. If Ollanta Humala is elected to the presidency in 2011, he may well decide to recognize the independence of the separatist states, thereby emulating Chávez’ example. Though this could give Washington dyspepsia, it could put the Andean country in line to obtain some military aid from Russia on concessionary terms. It should be recalled that during the period of military rule, the Peruvian Armed Forces depended upon Moscow as an important supplier of aircraft and tanks. As a retired army officer, Humala knows very well that much of Peru’s current military equipment obtained from the Soviet Union is now over 30 years old. This includes Mi helicopters, and T-type tanks, as well as MiGs and Sukhois aircraft. Peru is now in the process of refurbishing or replacing them with updated weaponry. For example, in recent years Russian engineers have been upgrading Peru’s Mi helicopter fleet. Ollanta Humala would certainly want to ensure Peru’s access to top of the line and affordable Russian military equipment. Bolivia, Peru’s southeastern neighbor, has in fact received credit lines from Moscow to buy new weaponry and a new presidential plane; since La Paz has not recognized the South Caucasus states, this certainly looks like a dangling carrot. Military aid from Russia could prove to be of great importance to Lima in view of Peru’s recently revived encounters with the narco-terrorist movement Shining Path, as well as its ongoing maritime border` dispute with its historical nemesis, Chile. It should be noted that Ollanta Humala has already expressed an interest in recognizing South Ossetia and Abkhazia. During an April 2009 visit to Russia, he declared to the local media that since Lima had recognized Kosovo’s independence, it had no major justification not to do so with South Ossetia and Abkhazia. He explained that the reason behind President García’s delay in recognizing them appeared to be the position that due to Washington’s engagement with Iraq and Afghanistan, the Caucasus is now one of the United States’ key areas of interest. Later, on November 11, 2009, seven Peruvian deputies (all members of Humala’s Nationalist Party) presented a motion (#08928) to recognize the two states, though, ultimately, the initiative did not make it to the floor of Congress. Within the hemisphere, recognition regarding the status of South Ossetia and Abkhazia has been driven by Nicaraguan and Venezuelan self-interests as much as by anything else. This would be nothing new for Latin America. Neither would it be a strange phenomenon that a Latin American state would move quickly to recognize a country that has declared independence, even if most areas were holding their decision in obeisance. Latin America’s recognition of Kosovo and Taiwan, as well as the more recent action on Palestine, are all cases in point that the recognition process is in ferment. In recent days Argentina, Brazil, and Uruguay have recognized Palestine as an independent state. Paraguay is expected to follow suit. Both Washington and Tel Aviv have expressed their disappointment, if not to say their consternation. The State Department was quick to call the move “counter-productive.” This development highlights a number of recent trends. First, Latin America continues to ease out of Washington’s sphere of influence, with Bolivia and Venezuela pursuing a growing relationship with Iran, while Brazil, Argentina, and Uruguay have just recognized Palestine. State Department officials as well as both Republican and Democratic members of Congress have openly criticized the move. Second, the direction of Latin America’s recognition policy is not that surprising since Latin America has a growing commercial and political link with the Muslim world, hence recognizing Palestine is as much a political gesture an economic move aimed to please Islamic leaders in order to cement strong trade relations. President Mahmoud Abbas of Palestine, visited Brazil in 2005 and 2009, and outgoing Brazilian president Lula da Silva made the first-ever trip by a Brazilian head of state to Palestine and Israel in March of this year. The Council on Hemispheric Affairs’ director, Larry Birns, has stated that “in a way this move isn’t surprising; the Arab world is big but there is only one Israel.” In terms of policy, Latin America apparently feels free to thumb its nose at Israel, regardless of U.S. pressure to the contrary. Nevertheless, it is surprising that Buenos Aires decided to recognize Palestine. In June, the country named its first foreign minister of Jewish origin, Hector Timerman, who replaced Jorge Taiana in the post. Argentina has had a mixed relationship with Israel and its own large and prosperous Jewish community, in great part due to the 1994 terrorist attacks against the Israeli-Argentine Mutual Associate building. A van filled with explosives drove into the complex, killing 89 and injuring more than 200. The Lebanese militant group Hezbollah and Iran have been implicated in perpetrating the attack. Buenos Aires has carried out several initiatives with the Arab world in recent years, including an agreement with Algeria over nuclear cooperation. An August 2010 article by the Global Arab Network quotes Egyptian Minister of Trade and Industry Rasheed Mohamed Rasheed, as maintaining that Cairo wants to strengthen its ties with Argentina, especially in the fields of medicine, textiles, and IT. The article explains that “the volume of trade exchange between Egypt and Argentina rose from 616 million dollars in 2007 to 1.2 billion dollars in 2008, but receded to 643 million dollars in 2009 due to the financial crisis.” Argentina is Egypt’s second largest trade partner in Latin America. The region’s growing ties with the Arab world comes at a time when Washington seems to be increasingly frustrated by developments with the West Bank settlement standoff (the Obama administration has decided to end its efforts to achieve direct talks between the sides). Kosovo gained its independence from Serbia in 2008 and so far it has been recognized by approximately 70 states, including most of Europe as well as the U.S. and Canada. Countries that are threatened by the possible flare-up of separatist issues of their own, like the Russian Federation, China, Turkey, and Spain, understandably have been slow to move on the issue. Two of Washington’s major allies, Colombia and Peru, have recognized Kosovo. Other Latin states that have recognized Kosovo are Panama, Costa Rica, the Dominican Republic, and Belize. Honduras is the latest Latin American state to recognize the country, doing so last September. The Central American state has been a regional pariah since the 2009 coup in which the democratically-elected president, Manuel Zelaya, was taken from his bed in pajamas and flown out of the country. It is unclear if the recognition of Kosovo is an attempt by Porfirio Lobo, (Honduras’ de facto president elected to office under cloudy circumstances after Zelaya’s ousting) did this in order to be appreciated by Washington. In March of this year, U.S. Secretary of State Hillary Clinton carried out a five-day tour of Latin America in which she tried to persuade regional states to recognize the Lobo government. Matters were not helped when WikiLeaks made public that U.S. ambassador to Honduras, Hugo Llorens, acknowledged in a cable to the State Department that “there is no doubt that the military, Supreme Court, and National Congress conspired on June 28 in what constituted an illegal and unconstitutional coup against the Executive Branch.” Clinton’s trip was not very successful, as exemplified by the recently concluded IX conference of defense ministers in Bolivia, to which Honduras was not invited. Lacking substantial regional allies, Lobo may very well have concluded that the otherwise improbable recognition of Kosovo would strengthen his ties to Washington and its vote in regional forums. Taiwan is becoming increasingly perturbed that Chinese economic assistance to Latin America will erode some of the support it has found in regional leaders. Just over 20 states worldwide currently recognize Taiwan as an independent state, separate from mainland China. Besides Vatican City, most of these countries are located in relatively underdeveloped regions like Africa, the Caribbean, and Central America. The recognition of South Ossetia and Abkhazia, as well as Muslims from these aspirant nations to Latin America, may produce one additional consequence. The Caucasus is one of the world’s last regions with which Latin America has not established close contacts; the recognition of these separatist states may actually be the catalyst that could bring them into a more regularized relationship with the previously neglected region. With respect to Latin America and the Muslim world, Brazil and Venezuela are building strong ties with countries like Libya and Iran. Additionally, Argentina has signed a nuclear agreement with Algeria. Another emerging trend is the growing friendship between Bolivia and Iran, with Tehran offering La Paz technical expertise to help construct nuclear energy power plants in the Andean state. Most recently, the two states have formed a partnership to exploit Bolivia’s lithium deposits. South America and Arab countries have held two summits so far, in 2005 and 2009. The recognition by four states of the separatist regions of Ossetia and Abkhazia is regarded by some regional specialists as a threat to the national integrity of Georgia. General parallels can be made with Kosovo and Taiwan, two other comparable separatist states carved out of Serbia and China respectively, which may prove instructive. Certainly, the issues in Georgia, the Middle East, Serbia, and China are complex and have their own unique arguing points. Most likely, while some Latin American states may hold out some sympathy towards the separatist areas, recognition has, and will continue to be, extended in accordance with their own national interests.